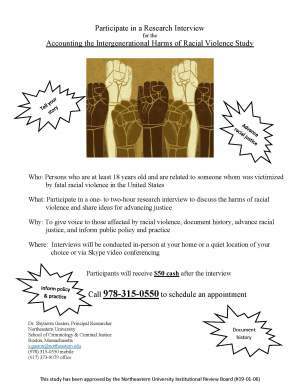 Dr. Shytierra Gaston, a criminal justice professor at Northeastern University in Boston, MA, is currently recruiting and interviewing families/descendants of victims of fatal racial violence (including racial lynchings) that occurred in the U.S. anytime after 1865. The purpose of the study is to document the intergenerational harms of racial violence, give voice to families, and illuminate the role of the government (e.g., the police) in racial violence and oppression. 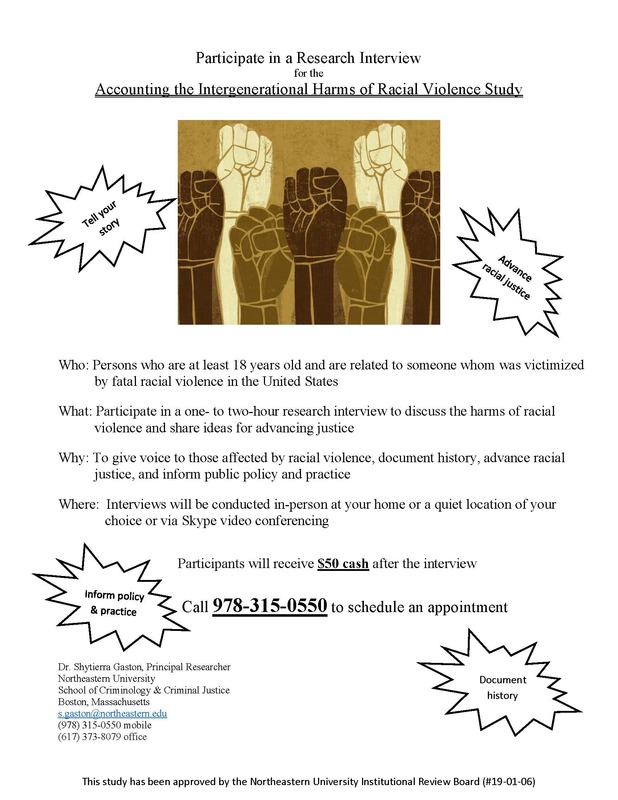 Please see flyer below for details about the interviews.